Samantha Harvey, originally from California but now residing in Co. Sligo, Ireland, is a prominent traditional music and dance performer. 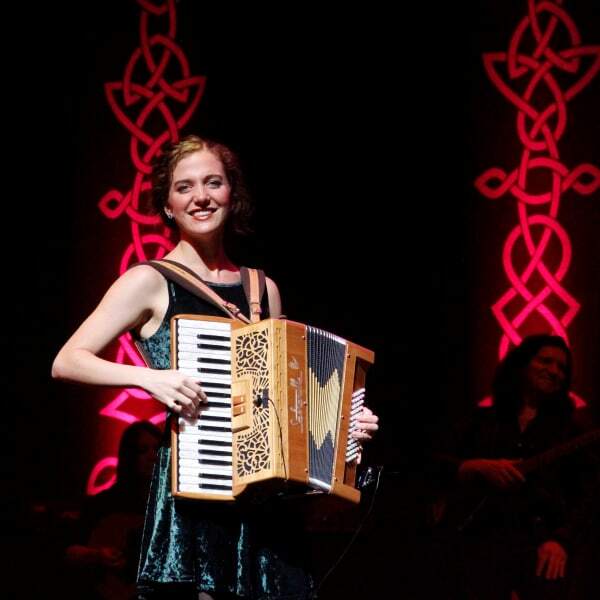 Highly-skilled in step dancing and also as an instrumentalist on piano and accordion, Samantha has performed throughout the world with groups such as Téada, Ireland The Show, Irish Christmas in America, Tomáseen Foley’s A Celtic Christmas and Tomáseen Foley’s Irish Times. This performance work has involved concerts and festivals in Japan, Taiwan, Malaysia, Europe and the United States. Samantha was privileged to perform in RTÉ’s Centenary 2016, broadcast live on television from the Bord Gáis Energy Theatre in Dublin.